White tea is a sweet, gentle brew that delights the senses. Its beauty unfolds in nuanced flavors that are subtle and sweet. It's less popular than green tea or black tea, but it delivers smooth flavor and potent health benefits just the same. White tea invites your taste buds to go beyond bold and potent flavors to discover the joy of subtlety. This tea commands elegance and inspires tea drinkers to try something different. In this guide, we'll introduce you to the best white teas on the market. You'll learn about the distinguished flavor of different white tea types and find out how to brew the perfect cup every time. White tea is made from the leaves of the Camellia sinensis plant known commonly as the tea plant. White tea is a true tea along with green tea, oolong tea, pu-erh tea, and black tea. It is the least processed of the true teas and is considered one of the most natural teas on the market. White tea is made using only the newest tea leaves or buds—known as Pekoe. The young leaf buds are harvested by hand before they open. These tea leaves are characterized by fine white hairs that are present just on the surface of the leaves. White tea leaves are only harvested during the first few days of the first tea flush each year. Once the leaves are harvested, they are withered for up to 72 hours. White teas made using just the tea leaves are rolled to release flavor. Tea buds are not rolled. Once the tea leaves and buds wither, they are meticulously dried in the sun to prevent oxidation. This helps to preserve the natural color of the tea leaf and the healthy compounds. Some white tea producers use temperature controlled ovens to dry the leaves and buds. In general, the white tea leaves are dried at 110 C and considered done when the moisture content is just one percent. The leaves are sorted and shaped for sale after the drying process concludes. The short production process makes white tea one of the freshest teas in the world. White tea has naturally occurring caffeine, but only in mild amounts. An eight ounce cup of white tea contains around a third of the caffeine found in a standard cup of coffee. This tea is softer and smoother than other true teas. 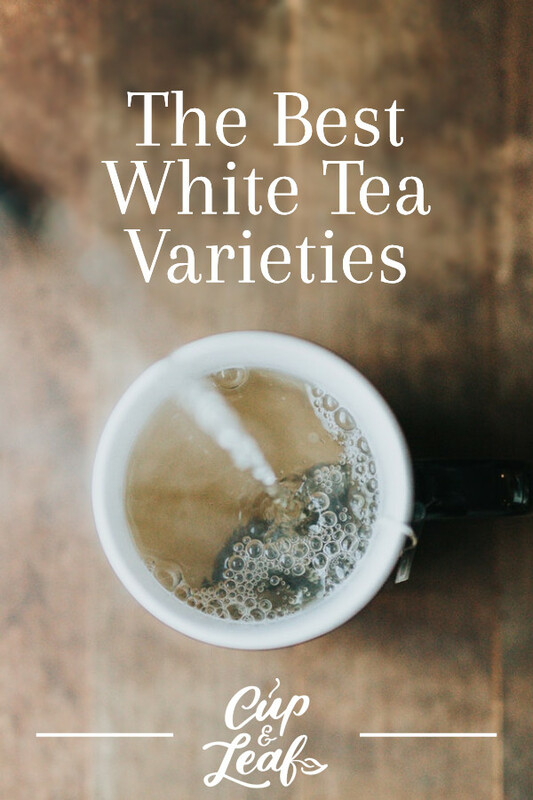 White tea has a delicate, slightly sweet flavor that is simple enough for beginner tea palettes and nuanced enough to please even the most experienced tea connoisseurs. Silver Needle white tea is considered the gold standard of white teas. It is most commonly produced in the Fujian province of China, but it is also cultivated in Yunnan Province and other countries around the world. This tea is made using only silver-colored buds measuring about 30mm in length. Most Silver Needle white teas are made using the Da Bai variety of the Camellia sinensis plant. This plant varietal was originally only grown in Fuding, China, but can be found across Asia today. Silver needle white tea boasts a light, sweet flavor that is prized by tea connoisseurs. This type of white tea is golden in color and features a woodsy and rich body with a floral aroma. White Peony tea is made using a combination of young tea buds and leaves. White Peony more affordable than Silver Needle, but doesn't sacrifice taste. As a rule of thumb, only the top two leaves of each tea plant shoot are used for this type of white tea. White Peony has a stronger flavor than Silver Needle white tea. This white tea consists of full body and floral hints that emphasize the delicate nature of white teas. White Peony tea is more pale green in color and produces a slightly nutty aroma and aftertaste. Tribute Eyebrow—like the previous white teas—is grown in the provinces of Guangxi and Fujian. This tea is classified as the third highest grade of white tea. Gong Mei is harvested later than Silver Needle teas and boasts a bolder flavor. This white tea has a strong, fruity flavor that is similar to oolong tea. This type of white tea is mainly produced in China. This white tea is made using the lower quality leaves left over after the Silver Needle and White Peony harvests. This tea is cultivated mainly in the Guangxi and Fujian provinces of China. Long Life Eyebrow is harvested later than White Peony and Silver Needle white teas. The result is a stronger white tea that is also darker in color. This white tea is typically golden yellow in color and is classified as the fourth grade of white teas. All of the white teas we have covered thus far are made using the Da Bai variety of the Camellia sinensis plant. The next group of white teas use different varietals and are some experts do not classify them as true white teas. Most white teas come from China, but this blend hails from Sri Lanka. Ceylon white tea is a rare tea that is made using only the longest, silver tea buds. Tea masters only use tea buds that are at least 25 millimeters in length fro this white tea. This tea offers a light, fruity flavor that features hints of honey. Tea flavors and varieties have increased dramatically as tea consumption becomes more popular each year. 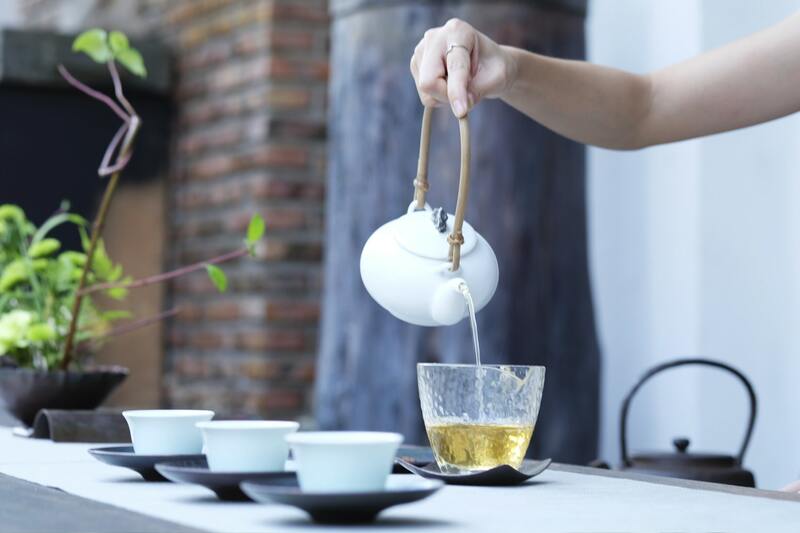 Whereas China once was the only producer of white tea, today dozens of countries produce varieties of the classic beverage. The most popular African white tea is known as Malawi white tea. This white tea differs from other types in that it is made using only white tea twigs or stems. This produces a distinct flavor that is more potent than classic white tea leaves or buds. It tends to have a slightly grassy flavor accented by honey hints. Darjeeling white tea comes from the Darjeeling region of India that is famous fro producing black teas. This tea is grown at altitudes up to 2000 meters. These tea leaves are fluffy and light producing an airy aroma and flavor. Darjeeling white tea is pale gold in color and offers a mellow flavor with notes of sweetness. Imperial Himalayan white teas are produced during the autumn harvest. These teas are named after the Himalayan Mountains where the tea plants are cultivated. Vahdam and the Republic of Tea both offer unique varieties of this white tea type sourced from high altitude tea estates. These high altitude white teas tend to have a stronger flavor profile that is dominated by fruity notes. There are a few things to keep in mind when brewing white tea. We always recommend using loose leaf tea rather than tea bags for the best flavor. White tea bags contain broken leaves, dust, and fannings of tea leaves that don't infuse flavor as well. These broken tea bits also don't offer the same health benefits as whole loose leaf teas. Loose tea leaves expand better when infused with water. This ensures higher quality flavor and aroma. Opt for high quality white tea so you can enjoy the nuanced flavor of this tea. 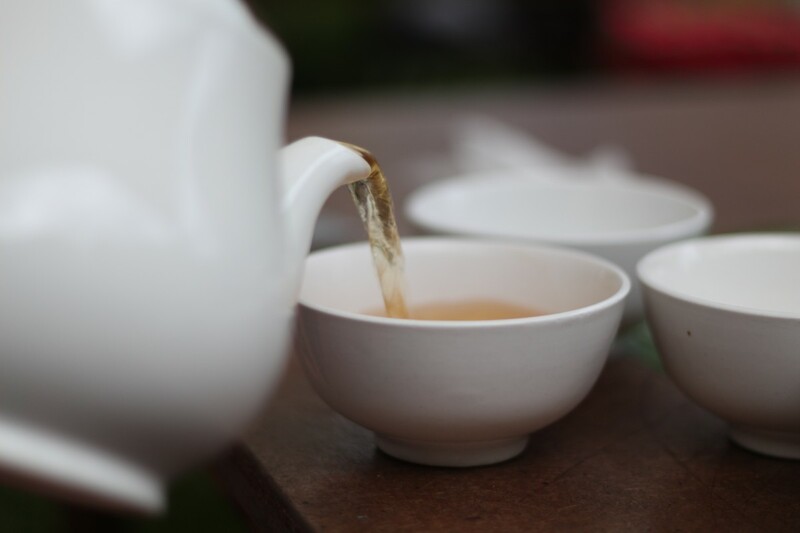 The proper amount of white tea depends on whether you are using buds or leaves. Use two teaspoons of white tea for every eight ounces of water if it is made from only buds of the tea plant. For white tea made using leaves, use two tablespoons instead. If your white tea contains a blend of buds and leaves—like White Peony—use one tablespoon for every eight ounces of water. 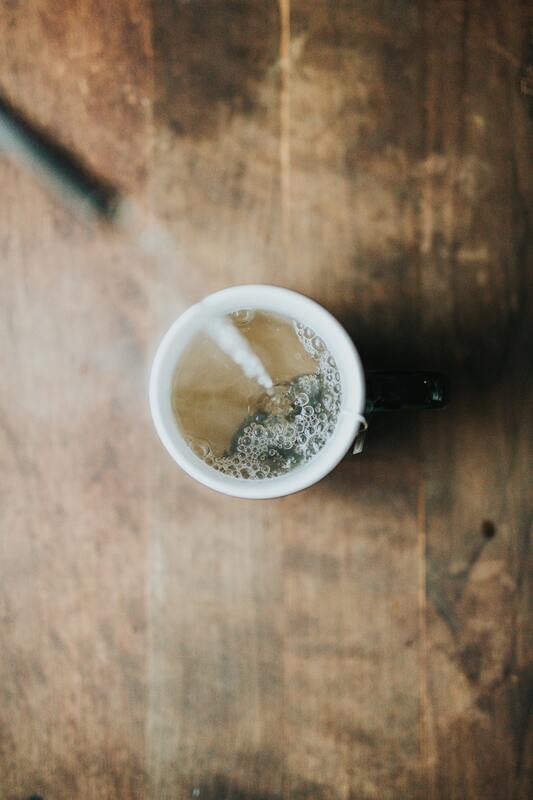 White tea's soft flavor profile develops best when brewed with hot water. Avoid boiling water as it can negatively alter the flavor of white tea. Use a temperature controlled tea kettle to heat water to 170 F.
Always use pure, filtered water to brew better-tasting and more flavorful teas. Avoid using tap water since it is treated with chemicals that can alter the flavor of white tea. White tea has a relatively short steeping time compared to other teas. Infuse the loose leaf tea for anywhere from 30 seconds to 5 minutes. Taste the white tea in 30 second intervals to find the flavor that please your taste buds. The longer the white tea brews, the stronger the flavor will be. The steeping time also depends on the type of white tea you are brewing. Note that tea buds take longer to steep than leaves. Small leaves steep the fastest and special attention should be paid to avoid developing bitter flavors. White tea is a delicious beverage whether it is brewed hot or cold. To cool off with a tall glass of iced tea, brew the white tea leaves or buds as described above. Chill in the refrigerator for up to four hours and serve with ice. The subtle flavor of white tea can also be enhanced by brewing it as a sweet tea. Simply add a dash of honey, agave syrup, or raw sugar. Make sure to add the raw sugar when the liquid is hot to ensure it dissolves completely. Garnish with a slice of lemon or go traditional by adding an orange blossom. White tea has been revered by the Chinese for centuries. Originally only cultivated in China, this tea is now available in multiple varieties and cultivated across the globe. Whether you choose the highest quality pure white teas or opt for an herbal tea, you're sure to enjoy the subtle flavor profile of this elixir. Try these fine teas and discover the joy of loose leaf white tea.